Who Is Responsible for Accidents in Driverless Cars? Fleets of driverless cars will soon be regularly rolling through the streets of major cities. One of the thorniest questions in this new reality is where responsibility falls when an accident involving one or more of these fully automated vehicles occurs. In such a scenario, public opinion appears to be leaning toward ascribing blame to the manufacturers and software engineers that created the driverless vehicles. That’s according to a new report from insurance giant AIG, titled “The Future of Mobility and Shifting Risk,” which attempts to address some of these oncoming quandaries. The report itself, and questions it tackles, was one of the main topics of a recent panel discussion of industry experts — including representatives from AIG, ride-sharing service and Jama customer Lyft and various universities — coinciding with this week’s CES in Las Vegas. Few guarantees were granted, but there seemed to be a consensus among the panel that while fully autonomous cars will help reduce accidents, the role of fault in a collision would likely no longer automatically fall to those humans in the vehicle itself. “I think it’s going to be much safer, but I also think there’s going to be a significant shifting in liability,” says Kate Sampson, VP of Risk Solutions at Lyft, during the panel. 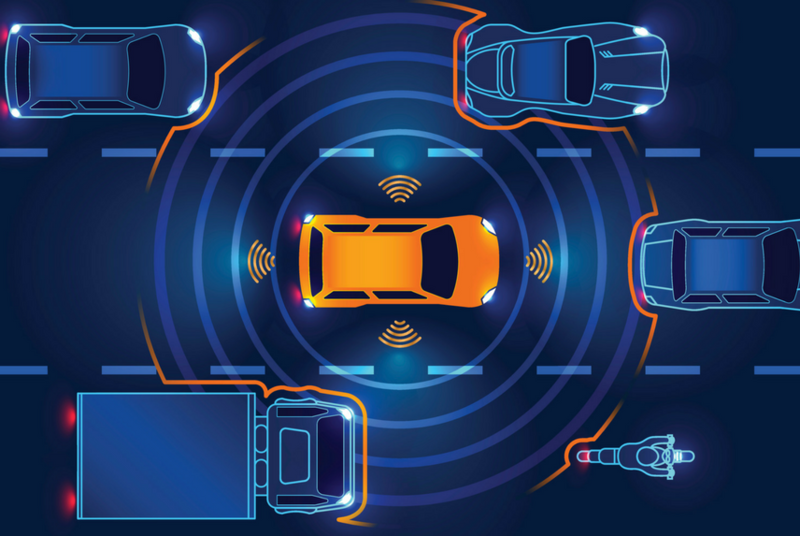 For all the unbelievable innovations that have been happening in the autonomous vehicle space, the regulations surrounding its inevitable manifestation are still very much in the air. In the AIG report, drivers in the United States, United Kingdom and Singapore were surveyed on a range of questions related to autonomous vehicles. According to the report, the general public sees accident liability shifting as autonomous features gradually take more control of the car. And, as AIG notes, the transitionary period, dubbed “the chaotic middle,” between now and when cars are fully autonomous — meaning they can operate themselves — is where things get tricky. In a scenario where someone is driving a car with some autonomous features, and it strikes a pedestrian in a crosswalk, the majority of respondents from all countries viewed the human behind the wheel as being at fault. When a similar question was posed, except involving a fully autonomous vehicle — one in which its controlling itself — people in the US said the car’s manufacturer was the most liable, followed by the software programmer. In the UK and Singapore, the manufacturer and software programmer were found to be equally as liable. When it’s a question of an autonomous vehicle crashing as a result of incorrect or misleading data, the car’s software engineers were found to be most liable in all countries surveyed. What’s also interesting is that the public feels there will be a range of degrees of liability for accidents involving autonomous cars. For instance, according to the report, internet service providers, car parts manufacturers, road construction companies and local governments handling for infrastructure were all named as potentially owning liability for these accidents with fully or partially driverless cars. Meanwhile, respondents said owners and occupants of driverless cars were the ones on the hook for vehicle maintenance and software updates. A majority also felt that riders of driverless cars should have their own car insurance, even if they’re using something like a ride-hailing service. While the prevailing wisdom of driverless vehicles is that they’ll make our roadways safer, Lex Baugh, CEO of AIG North America General Insurance, says during the panel that there’s another angle to think about. There’s also a host of other highly problematic security scenarios that still need to be grappled with, such as the threat of someone hacking into a fleet of driverless vehicles and causing chaos. While it’s true regulations often follow innovation, there are serious questions that need to be asked, debated and dealt with now, because our days behind the wheel may be coming to an end very soon.